We are a leading Manufacturer of garnet gemstone, red garnet gemstone, amethyst stone, emerald stone, precious stone and rough emerald from Jaipur, India. With enriched industrial experience, we have been able to offer a wide spectrum of Garnet Gemstone. The provided garnet gemstone is used for making jewelry and can be used for astrological applications. 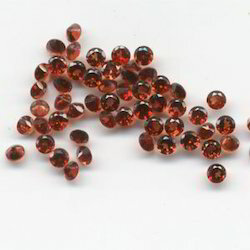 We offer this garnet gemstone in numerous sizes & customized cutting options according to the demand of customers. This garnet gemstone is packed using qualitative packaging material from our side so as to ensure their safe transportation. With our years of experience and knowledge, we are engaged in offering an excellent range of Red Garnet Gemstone. These garnet gemstones are aesthetically designed by our experts using contemporary techniques and following latest standards of market. Our offered garnet gemstones are suitable for those born in the month of January. Also, these garnet gemstones can easily be availed from us in a stipulated time frame at nominal price. 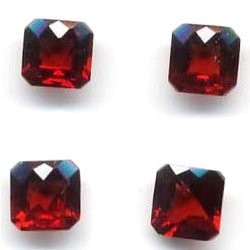 Looking for Red Garnet Gemstones ?